As part of its Q3 2019 financial update, Nintendo has provided up-to-date lists for its best-selling games across current consoles. We've already shared the current top ten best-selling Switch games, but what about the 3DS? Well, as it happens, the top ten 3DS games are exactly the same now as they were three months ago, albeit with more sales under their belts. All sales totals below are lifetime sales which are accurate as of 31st December 2018 and include both physical and digital sales as well as bundled units. Tomodachi Life - 6.40 million pcs. Of course, with a general lack of major new releases and dwindling interest in the console from its core audience, it's not all that surprising that Nintendo's best sellers on the handheld have remained unchanged. Sadly, the total sales for Wii and Wii U games have not been updated this time around despite being included in the last quarter's updates. Do you own many of these best-selling 3DS games? Let us know your favourites in the comments. Mario Kart 7 and Super Mario 3D Land are my only contributions. Solid games. I was playing some Mario Kart 7 online last night. It's still very active. I need a Tomodachi Life on the Switch! The bulk of 3DS sales appear to have been Mario series, whereas Pokémon sales continue to favour the newest releases. We've bought 10 of those game. Obviously some a couple times with having 3 kids in the house. Sadly, this list just shows how Nintendo console owners tend to (sort of) ignore third-party games even when they're pretty solid. Let's face it, there's tons of amazing third party titles on the 3DS, and yet, this list is mostly first party as usual. For example, NSMB 2 shouldn't even be on that list (in my opinion), so at this point people are just buying games primarily based on a long-established brand rather than the games' merit or overall quality when it comes to Nintendo. Hell, even Wii Music sold relatively well on the Wii, and that was just awful. It's going to take many years for loyal Nintendo fans to better embrace (quality) third parties a bit more. It's already happening with the Switch, to some degree, but only time will tell. Its interesting how Switch’s top lineup is already close to matching with those as it’s just barely about to reach the end of its second year. A possibly cheaper mini Switch would cause some crazy stuff to happen I imagine. @Nintendrone not exactly but u know, opinions. @diablo2 rolls eyes.... nsmb2 was a great 2d platformer that deserves merit for being what it's meant to be and that's a game. MK7 is definitely my favorite since I've always loved Mario Kart and it's in my 3DS almost all the time. I plan to get Smash and Pokemon Y, Alpha Sapphire, and Ultra Moon later. 4 Pokemon and 4 Mario games (1 is spin off). Again, WTF is wrong with the Pokémon fanbase? The 3DS games were all astoundingly mediocre. @gortsi This is only for Nintendo-only titles? Ah, that changes everything. hoping for a tomodachi life sequel ! It isn't too surprising when you consider the selling power of those franchises. Plus, all of those Mario titles (particularly MK7) are or have been part of system bundles. 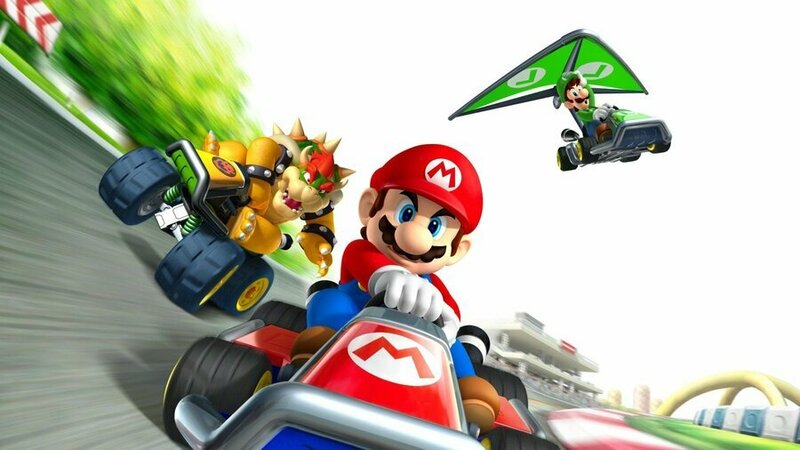 Mario Kart 7 has shipped over 1 million copies a year for the last 8 consecutive years. So glad to see Tomodachi Life on there! Makes me hopeful that we'll eventually get a sequel on the Switch. Surprise! Look at all those third parties... wow! Oh.. btw I have six games of that list. @gortsi nope. They are platform holder. Ofcpurse they can publish the best selling games. Every game sold on their platform they claim 30%. They know EXACTLY how much software has been sold on a platform. And they can publish that, as Apple or Google can do that with their ecosystem. Oh lord, at much fewer system sales, the Switch is already close to these numbers. No it was awful, forgettable and generic like most of the “New” series. And that’s coming from an avid MARIO fan. And while all these millions of people keep saying they are amazing and great, Nintendo will keep milking that cash cow with the same uninspiring and boring Mario games for the fanboys. And I have every right to moan and complain as I’ve invested a lot of money in Nintendo over the years and I know when they are being lazy with their main mascot. @koekiemonster These are for investors, not for gamers. What is the typical investor going to be more interested in a game that Nintendo only made some of the money or where they made all of the money? @diablo2 I think third parties probably would sell better on Nintendo...if the third parties mass marketed their games for Nintendo systems. Simply releasing a game for a Nintendo system and having a trailer on youtube is never going to get the same results as say havng the game advertised on the side of buses, billboard, TV adverts,etc. A good example would be Dragon Quest, two of the series best selling entries are IX and XI. Dragon Quest IX Square Enix didn't want to publish in the west, Nintendo had to translate, publish and run ad campaigns for SE's game. Dragon Quest XI, Square Enix translated, published and advertised it themselves even in the west for PS4...and seemingly a Switch verion is coming but we've not heard much about it other than it is coming(we don't even know if it's going to get a western release on Switch). If there is a Switch version of DQXI in west will it do well given SE is making it very hard to know whether it's even going to release? No surprise. All great games even if they aren't new. They updated DS/Wii/Wii U in April as they're only doing yearly updates, and likely April is the final quarterly update for 3DS as its pathetic sales for the year don't warrant wasting time updating them, so they'll probably be updated on a yearly basis as well. @Jango296 Nintendo reported the sales tanked. They nearly halved its sales estimates as it's down like 65% year-on-year. The 3DS is dead, and Nintendo knows it, but they won't say it so owners continue using it. @nintendosage I know the sales are down and I know it's practically dead. But that doesn't men I cant wish it was the other way around. @Bolt_Strike How exactly are the 3DS Pokemon games mediocre? They did pretty well before the Switch came around.